Over fifteen years ago I was invited to participate on the design team for a national church event. At the time I was working part-time in a congregation and serving on a diocesan children’s ministries committee. While I had attended numerous church-wide conferences before, I had never been invited to actually be part of the planning process for one of such magnitude. It was an Episcopal child advocacy conference, held in conjunction with the annual Children’s Defense Fund conference in New York City. I recall my first meeting and while we went around introducing ourselves, I remember stating that I did not consider myself an advocate for anything – let alone children. Seasoned leaders smiled at me, telling me I was an advocate in the fact that I was an educator and cared about children’s ministries. Through these past years I have learned the importance of Christian educators advocating for the least of these – children – as well as the ministry that is often overlooked, easily dismissed and defunded as one that will always be around due to the good hearts of many – Christian education. I have also learned that I have a voice, and with research and colleagues working together Christian educators can make a difference. Education and advocacy go hand-in-hand. Teaching is about advocating for knowledge and creating a hunger for learning and exploring one’s gifts. 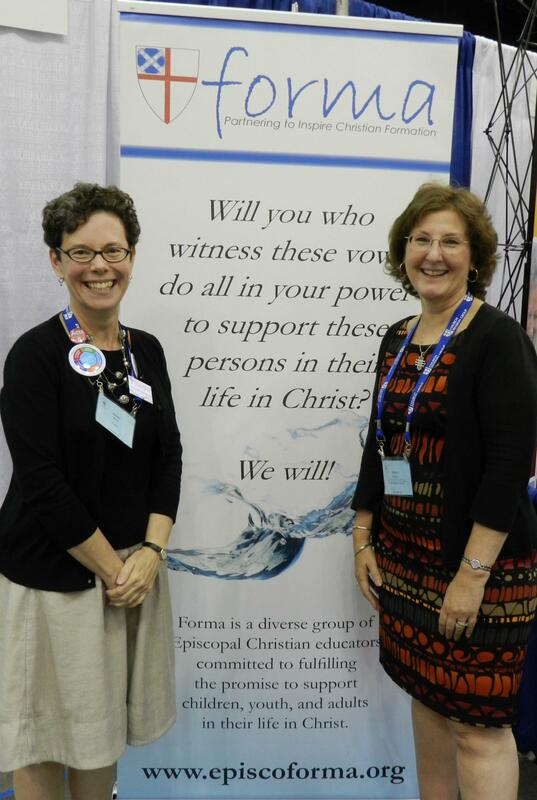 At the 77th General Convention of The Episcopal Church, held July 2-12 in Indianapolis, many of us learned the power of networking, collaboration and uniting together in one voice. 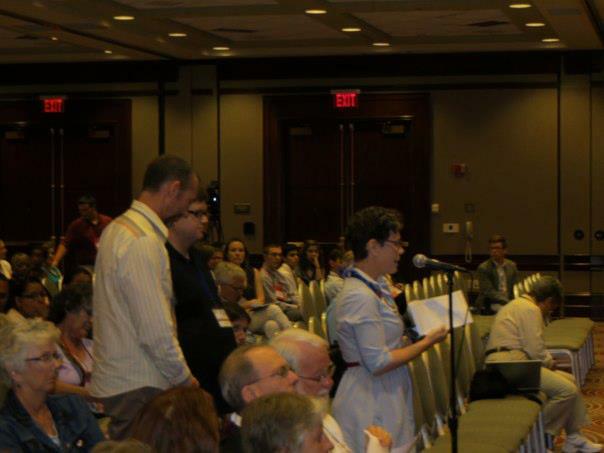 From the disheartening proposed budget that was announced on March 1st that cut 90% of the funding to our church-wide office of Formation & Vocation, through the final days of General Convention when a new budget was adopted that put almost all of the funding back, Christian educators have been lobbying their representatives to General Convention, sharing their concerns and passions. Educators rallied. A group of 50+ formation leaders throughout the church representing all ages and a variety of ministries asked to be part of an advocacy group. Within that, individuals were creative in finding ways to spread the word about the importance of Christian formation on a denominational level. Much of that work can be found at Building the Continuum. Josh Hill (Connecticut) encouraged dioceses to share a book about the future of formation with all of their deputies. Networks across the age level agreed to work together and not compete with one another, knowing that together our voices would make a difference. Gone were the days of pitting youth leaders, Christian educators, campus chaplains and young adults against each other for funding. Individuals contacted those in positions of power. The resolution that came before Convention was submitted by a deputy who had listened to a local educator (Dontie Fuller of Indianapolis) and asked for some funding to be restored. The Education Committee took the resolution (D037), reworded it and it resulted in being part of the final budget. Educators attended and spoke at committee hearings (Missy Morain, Wendy Barrie, myself and others) as well as hearings sponsored by Program, Budget and Finance (Wendy Barrie with Lyle SmithGraybeal and Randall Curtiss – Forma Board members). Each person who spoke was articulate and professional. We answered questions with facts and experience. Due to our witness, those in leadership positions turned to us as the “experts” during meetings, asking for our thoughts when a question occurred during their discussion. 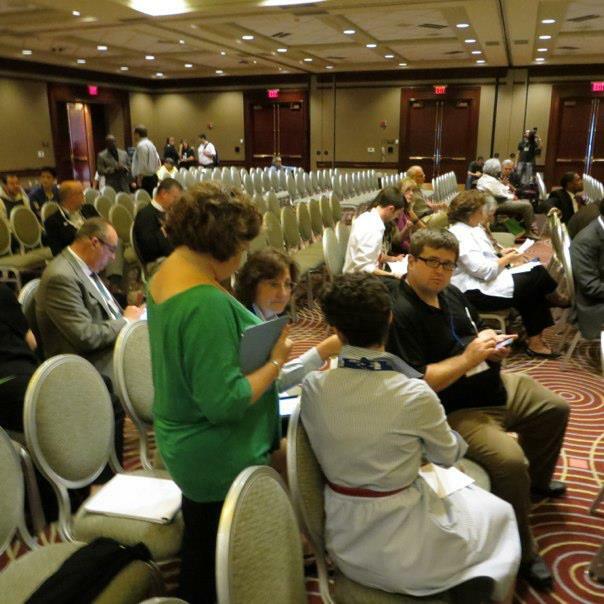 Social media was used for communication, mobilizing and networking at a moment’s notice. Educators stepped into leadership positions. Many took their place in the councils of the church, being elected or appointed to decision-making bodies of the Church. Having formation leaders members of numerous Standing Commissions (Keane Akao, Janie Stevens, Laurie Bailey and myself), Executive Council (Fredrica Harris Thompsett), elected deputies from their dioceses allowed the voices of many to be represented at all levels of decision-making. Educators on the Education Committee who asked questions that got to the heart of the matter and strategized to fill the podiums in the House of Deputies at the right moment included Debbi Rodahoffer (Kentucky), Anne Kitch (Bethlehem), Barbara Ross (Oregon), Tom O’Brien (Southeast Florida), Kathy Munson-Lutes (South Dakota), Jenny Ogleby (Vermont), Karla Woggon (Western North Carolina) and Vicki Garvey (Chicago). Bishop Porter Taylor of Western North Carolina co-chaired the Education Committee and was a consummate advocate for formation. And many others too numerous to mention. Networks and organizations wrote Position Papers and Talking Points to the issues, include Sue Cromer (Chicago) with the Young Adult Network, Shannon Kelly (Ohio), and the Episcopal Council for Lifelong Christian Formation with MaryLou Crifasi (Southern Virginia) and Cindy Spencer (Olympia) spearheading their statement. Wendy Barrie (New York) took the lead for Forma, showing how important an organization can be if it speaks out in boldness, truth and love. Christian educators need to advocate for their ministries. If formation leaders don’t put ourselves in positions that influence decision-making, others will make decisions for us. We have nothing to lose and everything to gain. For our future and generations to come. Sine die. Let the ministry continue. Learn the outcomes of formation-related resolutions at Building the Continuum. Amen! And thank you to all those who advocated for justice of funding and support for those without voices. Beautifully said Sharon, as usual. As one who was unable to attend GC this year, I knew our cause was in good hands thanks in large part to your leadership and exceptional communication skills. Thank you, and thanks be to God!